Carrie Reed, a second-grade teacher at Limestone Community School, introduces second- and third-graders to former Maine Department of Education Commissioner Robert Hasson before they take turns showing him what they've learned via the MoMEntum K-3 Literacy Pilot program. Gov. Janet Mills’ proposed budget includes a $126 million spike in K-12 education, and designates $10 million to unilaterally raise minimum teacher salaries statewide from $30,000 to $40,000. Lawmakers, however, are at odds over how best to implement that increase. The disagreement was on display between Education and Cultural Committee members last week when they split along party lines to recommend the full Legislature pass LD 898, from Sen. Rebecca Millett, D-Cape Elizabeth. Millett’s bill, the only bill of three to increase teacher salary that wasn’t voted down in committee that day, would set the baseline salary for K-12 teachers at $40,000, while also providing programmatic and staffing supports to address teacher shortages and retention rates. A law similar to Millett’s proposal was implemented in 2005 to raise base teacher pay to $30,000, but its funding was cut in 2012 under former Gov. Paul LePage. Upping Maine’s baseline teacher salary to $40,000 is something committee member Sen. Matt Pouliot, R-Augusta, and other committee Republicans also want, but not the way Millett’s bill proposes it. Beginning in 2020, LD 898 would make the teacher salary increase part of the Essential Programs and Services funding formula, which dictates how much state aid each school district receives and, in turn, how much a district needs to pay in property taxes to make up the difference. Using this formula, a combination of taxpayer money and state aid — tapering from 66 percent coverage in 2021 to 33 percent coverage in 2022 — would raise the salary baseline to $40,000. Each individual district could then decide whether to exceed this minimum amount — a point Pouliot argues would disproportionately benefit educators in wealthier communities and doesn’t adequately address funding disparities across districts. “There’s no way to guarantee that the local property taxpayer isn’t going to assume a significant burden with this change,” Pouliot said last week. More, state funding for salary increases is not guaranteed under future administrations. His suggestion, which will likely not go far as it’s in the form of an amendment to Millett’s bill, is to adjust the salary baseline to $40,000 through a statewide teacher contract, rather than through the EPS funding formula. It resembles a bill he proposed last session that died in committee. Republicans and Democrats split on how local control would come into play. Under Pouliot’s amendment, any further salary increases would be part of the local collective bargaining agreement — a point Millett called “concerning” because it takes local control away from the district and removes the onus from the state to provide 55 percent of public school funding. “There’s a lot more ability at the local level to make sure the obligations are met, but when it’s [being controlled] at the state level, it’s a pretty substantial leap of faith,” Millett said. “We need to at least establish that we recognize that $40,000 is a step toward paying our teachers a professional wage, though many would argue it doesn’t even move us substantially in a direction we need to go to be competitive with the rest of the country,” Millett said. Meanwhile, disparity in teacher pay from district to district causes concern. 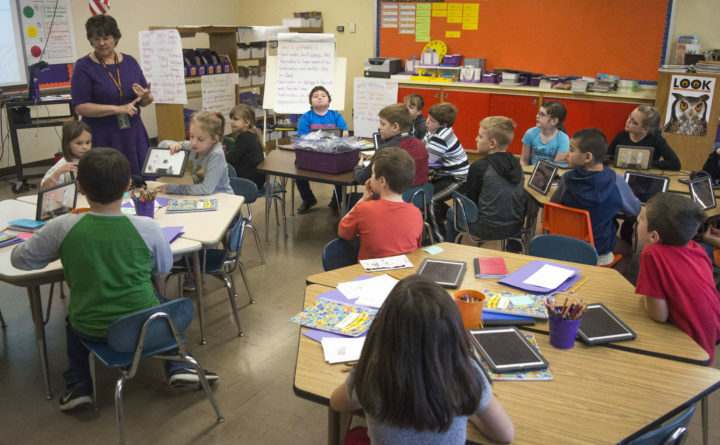 For decades, Maine’s teacher salaries have lagged behind national averages, according to data from the National Center for Education Statistics. In the 2016-2017 school year in Maine, the average salary was $51,077, compared with the national average of $58,950. Disparities can be sharp across districts, according to the Maine School Management Association. The starting salary this school year for a teacher in Lincolnville was $37,985, compared with $30,658 in School Administrative District 70 in Aroostook County, and $43,334 in School Administrative District 51 in Cumberland. School administrators want guidance. “We support raising entry-level salaries, but need an implantation plan, particularly for those districts that are still in the low $30,000 range,” Eileen King of the Maine School Boards Association testified during a hearing on Millett’s bill. “We appreciate the governor’s budget includes $10 million to raise all starting salaries to $40,000, but need to work on a sustainable plan going forward.” She also expressed concern about the bill’s impact on future local teacher salary negotiations. In the Democratic-controlled Legislature, Millett’s bill — her third attempt in five years to increase teacher pay — is likely to gain traction. And it will be worth watching to see whether Republicans choose to support it, even if it’s not the solution they had hoped for. Legislators will take testimony on bills aimed at Maine’s minimum wage law and increasing liquor store caps. Up for hearings on Monday before the Legislature’s labor committee are seven bills dealing with the minimum wage law approved by voters in 2016 — six from Republicans who want to chip away at it and one from Democrats who want to expand it. Among the Republican proposals are those that would set lower minimum wages for minors, rural areas and small businesses. Rep. Ben Collings, D-Portland, wants to raise the hourly minimum from $12 to $15 between 2020 and 2023 for employees of firms with more than 50 employees. All of them are probably unlikely to pass the Democratic-controlled Legislature. 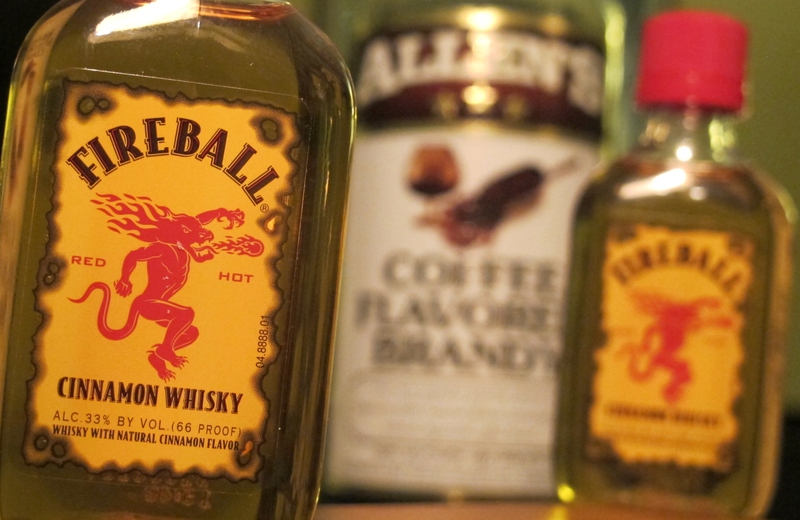 The committee overseeing alcohol regulation will take testimony on three bills pushed mostly by urban legislators — led by those from Cumberland and Kennebec counties — that would raise the number of liquor stores that could be licensed by the state in larger cities and towns. Proposals to further regulate the size of vehicles allowed on all-terrain vehicle trails are also up for discussion today and several committees will hold hearings on their respective areas of jurisdiction over Mills’ two-year budget proposal. See the full hearing schedule here. — A legislative push for a new carbon emissions study could put the brakes on a major energy transmission project in western Maine. It’s the latest twist in wrangling over Central Maine Power’s proposal to build a $1 billion transmission line to deliver power from Quebec dams to Massachusetts. A bill introduced by Sen. Brownie Carson, D-Harpswell, would make the Maine Department of Environmental Protection study the project’s net effect on carbon emissions in New England, Quebec and other regions — one of the more contested policy aspects of the project so far. The project got a boost last month when Mills backed the plan, but opposition from some environmental groups, including the Natural Resources Council of Maine — which Carson ran for more than two decades — and towns affected by the proposed corridor remains strong. The staff of the Maine Public Utilities Commission is scheduled to make a recommendation on whether the project should be approved next month. — There’s more bad news about the condition of Maine’s fishing industry. The Associated Press reports that the value of cod caught last year by Maine boats dropped lower than its been since 1967. Data from the Department of Marine Resources indicate the state’s cod were worth just more than $200,000 at the docks last year — less than the median price of a single-family home in Maine. That’s the lowest number since 1967, and a fraction of the $2 million to $16 million worth of cod fishermen routinely brought to land in Maine in the 1980s and 1990s. The volume of last year’s catch was also the second-lowest in recorded history. — It was a deadly weekend in Maine. One man is in custody after a fatal shooting Friday in Swanville. Police believe a Presque Isle man killed a child, then himself following a standoff that began Saturday. Two people were fatally shot in separate Portland incidents during the weekend. And a Westbrook man died after being shot Friday while trying to stop a robbery in Arkansas. Today is one of those “don’t sign contracts, operate heavy machinery or make major life decisions” days. Those of us who are not recovering from St. Patrick’s Day revelry are distracted by NCAA tournament brackets. One way or another, March madness is at mass hysteria levels. While I am all in on the UMaine women’s team, I don’t have a strong rooting interest in the men’s bracket. My alma mater loses Division III games. The local teams I grew up rooting for as a kid — Holy Cross, Providence, UMass and URI — did not make the tournament. I am not one of those people who adopts a team from far away, so team nicknames will probably guide my fandom this year. I love turtles, so the Maryland Terrapins hold a soft spot for me. And how can you not get sucked into the euphoria that comes from supporting the UC Irvine Anteaters? There are two sets of Gaels — St. Mary’s and Iona — in this year’s field. Does the fact that selection Sunday fell on St. Patrick’s Day give them an advantage? And will they fare better than their namesakes if they have to go up against the Norse of Northern Kentucky? The subversive part of me — which is a very large part of me — roots every year for as many Wildcats as possible to advance to the Final Four, mostly because of the confusion it would cause for announcers if all of the players on the court were Wildcats. Not long ago, we nudged up against an Elite Eight that would have included Wildcats from Arizona, Villanova and Kentucky. This year, there are four sets of Wildcats in the tournament, but the selection committee deviously sequestered them in just two brackets. The Kentucky Wildcats open the tourney against the Abilene Christian Wildcats on Thursday — setting up a rematch of the old Roman Colosseum lions versus Chrisitans rivalry. The Villanova Wildcats and Kansas State Wildcats would tangle in the South regional final if both beat higher seeds to advance that far.